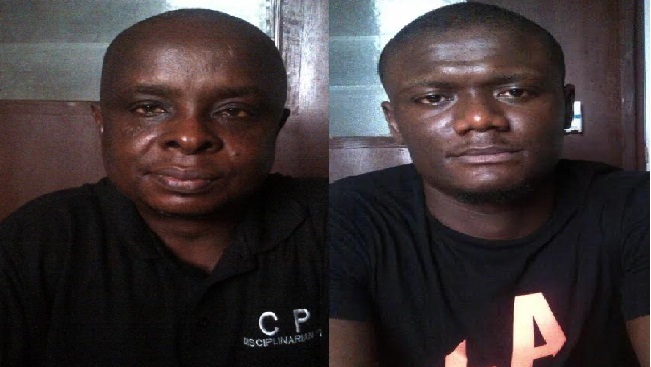 It was end of the road for a commercial tricycle rider based in Owerri and a newly wed Abuja based trader as they have been arrested by operatives of the National Drug Law Enforcement Agency (NDLEA) at the Murtala Mohammed International Airport (MMIA) Lagos. National Daily learnt that the suspects were held in respect of an unlawful importation of 6.390kg of substances that tested positive for heroin. It was gathered that one of the suspected traffickers was caught on arrival from Kigali, Rwanda while the other was nabbed on arrival from Nairobi, Kenya and the drug was valued N575 million and was said to have been carefully hidden in their luggage. 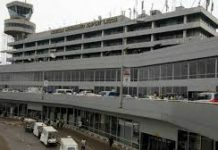 According to the NDLEA Commander at the Lagos airport, Ahmadu Garba, gave the names of the suspects as Egwin Cajetan Chinedu, 32, who was caught with 3.900kg of heroin and King Sunday, 38, found in possession of 2.490kg of heroin. National Daily, however, learnt that preliminary investigation by the Agency indicated that drug trafficking cartels are gradually changing their mode of operation by turning to African countries in sourcing narcotic drugs like heroin. Confessing to the offence, Egwin Cajetan Chinedu, a bachelor said he needed money to repair his commercial tricycle while King Sunday who left his wife after four days of marriage on the guise of a business trip said that he needed money for his honeymoon and business. Cajetan, further stated that he needed money to change the engine of his tricycle. “The engine of my tricycle which is my only source of livelihood is bad. While I was looking for money to fix it, I was introduced to the man that promised to pay me the sum of N400,000 on the condition that I will bring his drug from Kigali. I accepted the offer because nobody was willing to help me. 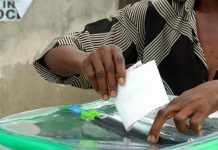 The class two Junior Secondary school dropout added that apart from the repairs, his house rent was due and his landlord had been asking for his money. Lamenting his involvement, King Sunday said he erroneously took the decision to smuggle drugs. 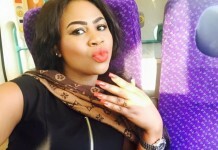 “I erroneously took the decision to smuggle drugs barely four days after my marriage. I was in need of money for my honeymoon and also for my business but I should not have involved myself in drug trafficking. “My thinking was that I could smuggle the drug from Nairobi in two days without my wife knowing that I travelled out of the country. All my life, I have been upright in my transactions but this is a huge mistake and I regret my action” King stated. The Chairman/Chief Executive of the NDLEA, Col Muhammad Abdallah (rtd), expressed satisfaction with the arrest stressing that drug traffickers are now turning to African countries to smuggle heroin that is produced in Afghanistan, Pakistan, India, Thailand and other far away countries. “The Agency successfully foiled their plan with the arrest and seizure of the drugs. Drug cartels thought it would be easy to smuggle the drugs into the country since heroin is not produced in Africa but I am happy that we are thinking far ahead of them. The Agency will continue to maintain this lead until they are completely dislodged” Abdallah stated. National Daily further gathered that the suspects will be arraigned in court soon.